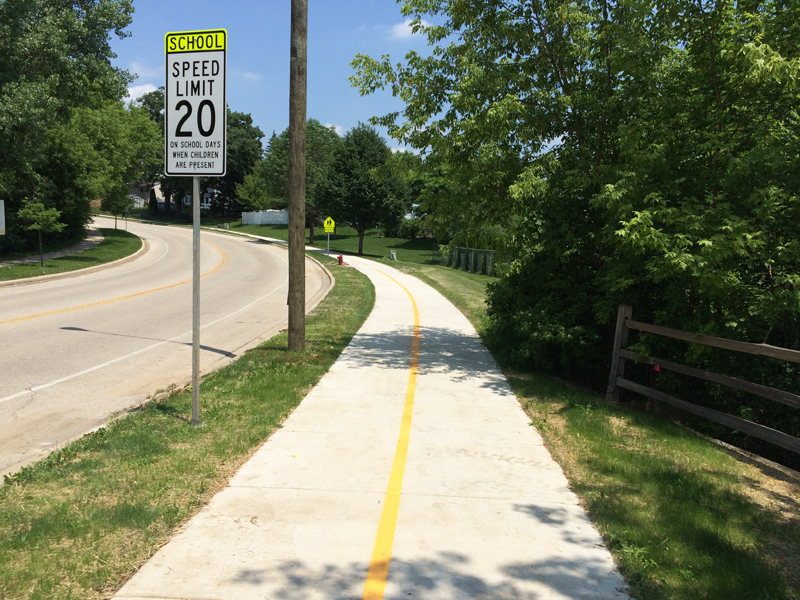 A multi-use path in the Village of Algonquin has connected the cul-de-sac at Harper Drive to Harnish Drive, providing a link between two residential areas and a connection between the Edgewood Drive bike path and Kenneth E. Neubert Elementary School. The 2,300 ft. path meanders through a heavily forested area, crosses a wetland near the connection to Harnish Drive and terminates near Kenneth E. Neubert Elementary School. Due to the existing wetlands and wildlife in the area, special consideration was taken in designing the path. To minimize disturbance to the wetland area, a 225-foot portion of the path is elevated on a 13-foot-wide timber boardwalk on diamond piers and a 300-foot long retaining wall was included to support the section of path that sloped down to the wetland area. Additionally, an outlook area was incorporated into the path to provide an undisturbed view of the adjacent wetlands and wildlife. The multi-use path not only provides safe access across the Village, but provides residents and visitors a place to take in the scenic wildlife and wetlands, without disturbing the natural habitat. CBBEL assisted the Village in securing funding and performed Phase I II and III engineering services.